New designer drugs, access to databases, and changing availability of samples for analysis have changed the face of modern forensic toxicology in recent years. 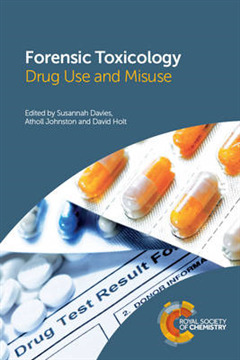 Forensic Toxicology: Drug Use and Misuse brings together the latest information direct from experts in each sub-field of the discipline providing a broad overview of current thinking and the most innovative approaches to case studies. 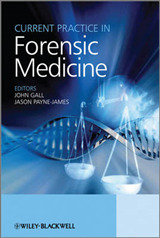 The text begins with an in-depth discussion of pharmaco-epidemiology, including information on the value of nationwide databases in forensic toxicology. The use and abuse of drugs in driving, sport and the workplace are then discussed by industry experts who are conducting case work in their field. Not only are new drug groups discussed NPS, but also their constantly changing impact on drug legislation. Synthetic cannabinoids, khat and mephodrone are discussed in detail. 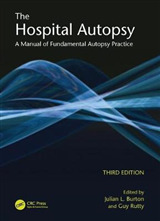 Following a section devoted to legislation and defence, readers will find comprehensive chapters covering sample choice reflecting the increasing use of hair and oral fluid, and also the less commonly used sweat and nail analysis. 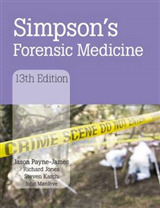 New and old case examples are compared and contrasted in the final part of the book, which will enable readers to understand how drugs impact on each other and how the interpretative outcome of a case are dependent on many aspects. 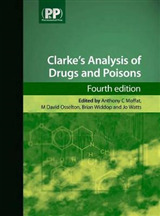 From use of pharmaceutical drugs in a clinical setting, through smart drugs to new psychoactive drugs, this book documents the wide range in which drugs today are abused. 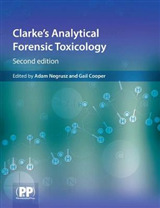 This book will be an essential resource for postgraduate students in forensic toxicology, and for researchers in forensic toxicology laboratories who need the latest data and knowledge.